Now the dust has settled on this year’s E3 conference, we can look back and reflect on the details given to us by both Microsoft and Sony regarding their new, 8th generation games consoles. The fanboys from both Team Sony and Team Microsoft were quick to raise their voices and claim victory for their side in a show of blind loyalty, but for the more objective, impartial people among you, a comparison of the 2 consoles is needed to make an informed decision. After all, a new games console is a BIG investment, so it’s important to make sure you select the right one to suit your needs! Below, we’ve pitted both consoles against each other in a number of categories to help you determine which console is right for you. One thing’s for sure, the difference between the Xbox One and the PS4 is far greater than the difference between the Xbox 360 and the PS3, making a comparison of specs and features even more important for those people who are still on the fence. If you’d like to pre-order the PS4 or register your interest in an Xbox One, simply follow the links below! Both machines come with 8GB of RAM. However, the PS4 uses GDDR5 RAM, which is faster than the Xbox One’s DDR3 RAM. Whether this makes a significant difference to gameplay or not, only time will tell. Nonetheless, the PS4 wins again. There really isn’t much of a difference here at all. Both machines will be running AMD octa-core CPUs. Many people still haven’t decided whether they prefer the Xbox 360 pad or the PS3 pad, so this debate isn’t going to get settled anytime soon considering the new generation pads are extremely similar to their predecessors! Most people’s preference usually comes down to which pad they use the most. The big difference this time around is that the PS4 controller comes with a touch pad. We’ll have to wait and see how useful this actually is though. There’s one clear winner here. Microsoft have developed the Xbox One to be the centrepiece of every living room, meaning you’ll be able to do so much more than just play games. With the Xbox One, you can funnel live TV, watch videos on demand, talk using web chat, run multiple applications simultaneously, link your phone and tablet to your TV screen, and much, much more. The majority of Sony’s efforts have gone into gameplay. Neither console will impose restrictions on using and sharing games, which is a relief considering Microsoft initially wanted to restrict the re-sale of games. Both the Xbox One and the PS4 will allow you to rent, share, trade and sell your games, just like you can with the PS3 and Xbox 360. While both consoles are offering what look to be some exceptional game exclusives, we feel that the Xbox One should win here as it has 13 titles at start-up compared to the PS4’s 5. Obviously, without playing these games it’s impossible to say how good they are, and it could well be the case that the PS4’s 5 games are better than the Xbox One’s 13. The stand-out exclusive for the Xbox One has to be Halo 5, while The Order: 1886 is generating a lot of heat for the PS4. Initially, the Xbox One required a 24 hour Internet connection. Without one, you wouldn’t be able to play your games. Thankfully, Microsoft went back on these plans meaning consumers can play offline whenever they want. However, an Internet connection will be required for a one-time initial set up when you first purchase an Xbox One, which could cause massive problems for people with no Internet access. The PS4 does not require an Internet connection, even at the initial set-up stage, which is why it beats the Xbox One in this category. Microsoft have clearly put a lot of time and effort into the Kinect 2, which is probably why they’re shipping them out with every Xbox One console. Initial reviews show that the new Kinect is vastly superior to the older model and will automatically sign you in whenever you enter the room, recognise your voice, see in the dark, measure your heartbeat, track wrist and shoulder movements, and much more. 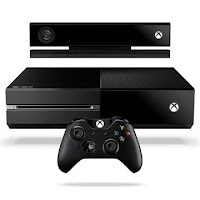 The Kinect 2 will also allow you to use your voice to control menus and certain aspects of games. The PS4’s Move and Camera appears to be miles away from the Kinect 2 in terms of quality and depth of features, which explains why Sony have been rather quiet about it. The good news here is that both consoles are much cheaper than we initially expected. Early reports suggested that we may be charged around £600 for both consoles, but thankfully this is not the case. 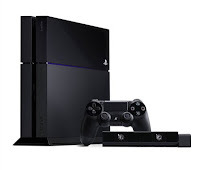 A PS4 will cost you £349.99, saving you £80 in comparison to the Xbox One’s £429.99 price tag. However, do remember that the Xbox One is shipped with a highly advanced Kinect 2 sensor, which is likely to be worth more than £100. We have the PS4 beating the Xbox One 5-3 in terms of the categories covered in this post, however, this doesn’t mean that it’s the better console. It all comes down to personal preference! If you’re a big gamer, then go for the PS4 as it’s likely to be slightly faster than the Xbox One, you’ll have complete ownership over your games and you won’t require a constant Internet connection. (It’s region-free too.) However, if you’re looking for a home entertainment package with advanced voice and gesture controls, then go for the Xbox One. Good luck making your decision! To browse our full range of consoles, games and accessories, simply head over to our entertainment area today.